The awesome wife and I are in Washington D.C. for eight days. It’s a great time to visit because the entire congress is on a national “rock ‘n’ roll tour” trying to convince their fans to re-elect them. And thanks to our congressman, Elton Gallegly, we got an insider tour of the White House, and hung out in the Senate chambers—where we learned about the “destructive side” of filibusters (the use of obstructive tactics to prevent the adoption of a measure, bill, or new idea). Made me think that not only do politicians prevent each other’s good ideas from happening, we do it to ourselves too. 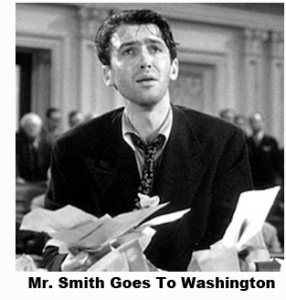 Truth is, in Washington, it takes 60 senate votes to break a filibuster. In your world it only takes one.